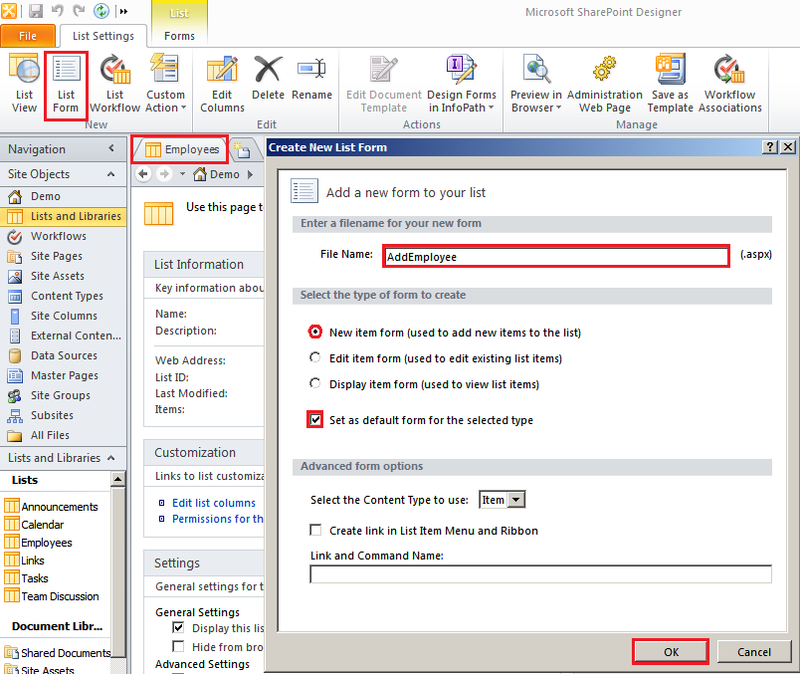 As SharePoint 2010 gets popular, more and more scenarios are coming which most of required customization. 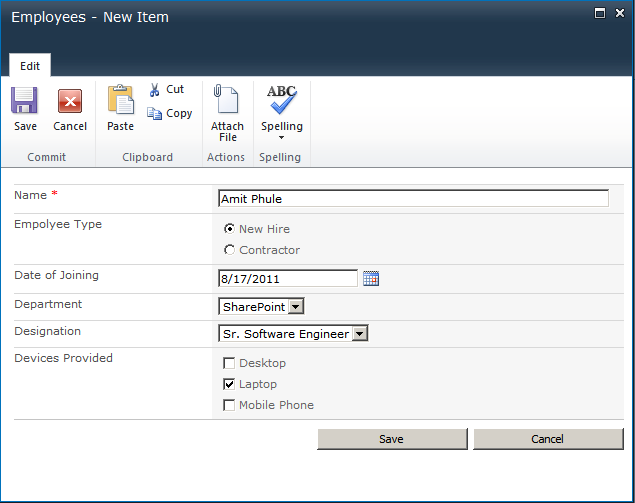 In this post I am exploring the JQuery Development possibilities in SharePoint 2010. 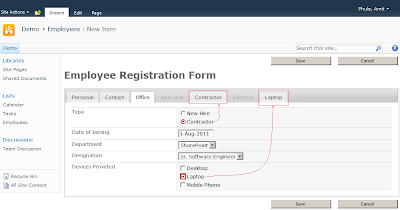 Take a scenario that we have to create Employee Registration Form with Tabular look and also enable disable tabs according to check box or radio button selection. 3. 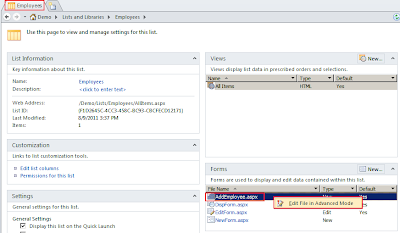 Add following JQuery References to master page before </head> tag. 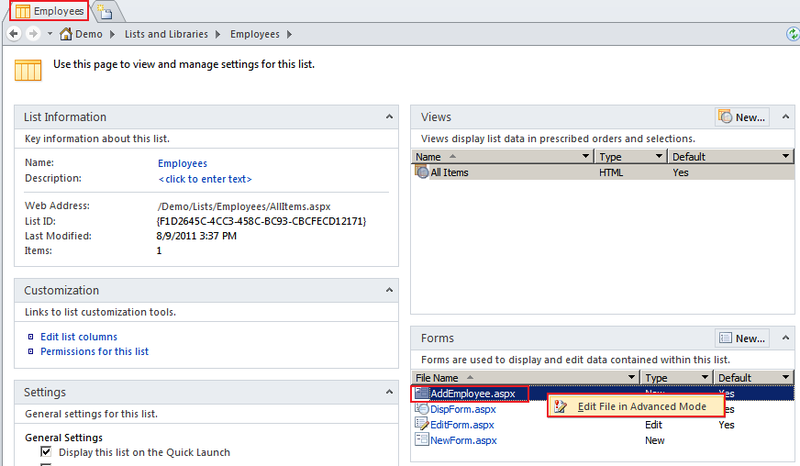 For demo purpose I have created Employees List and added 5-8 columns. 6. 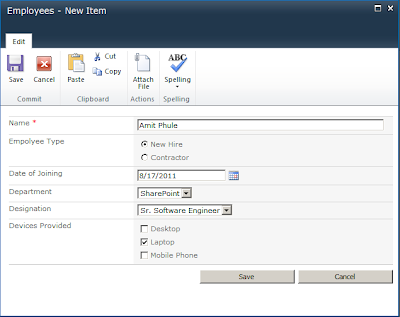 Edit List form in Advanced Mode. 7. 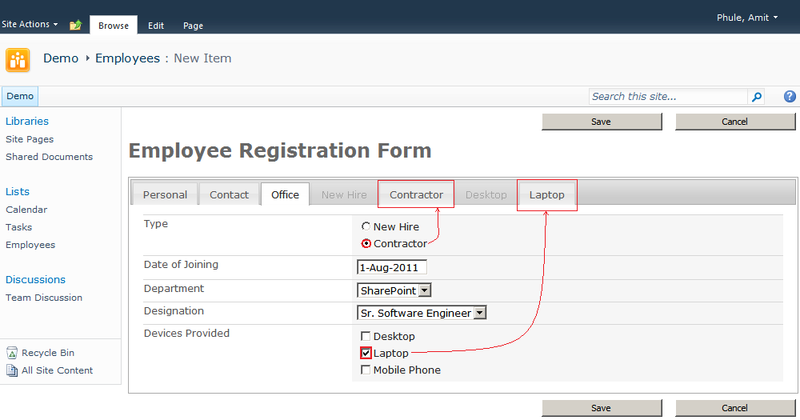 As we want to display form in tabular, so we have to add JQuery Tab schema as follows ..
9. 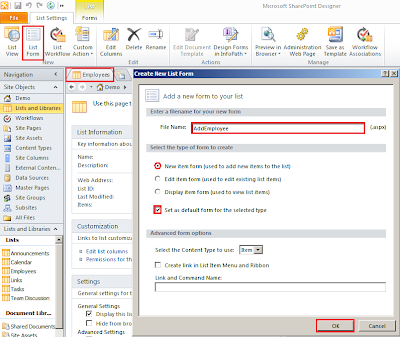 Open newly create list form in browser; Select edit page from Page Tab. 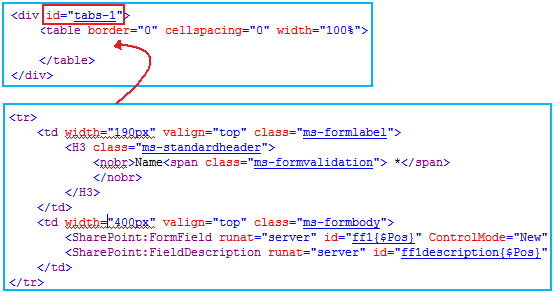 Add "HTML Form Web Part", go to WebPart properties; add following code using "Source Editor". 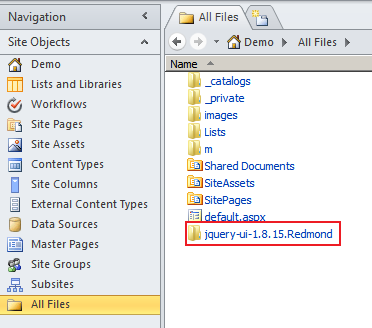 Conclusion: We can use JQuery in SharePoint 2010; And it takes less time to use JQuery in SharePoint but more time to post a blog on it. and I was expecting the same..!! !